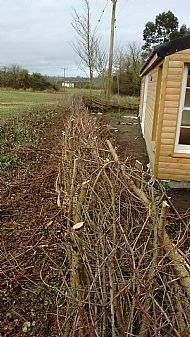 Hedgelaying is another of our skills, and with years of exsperiance of laying hedges, in many of the reginal styles, we can cut, lay and rejuvanate some of the most neglected, and challenging of hedges. 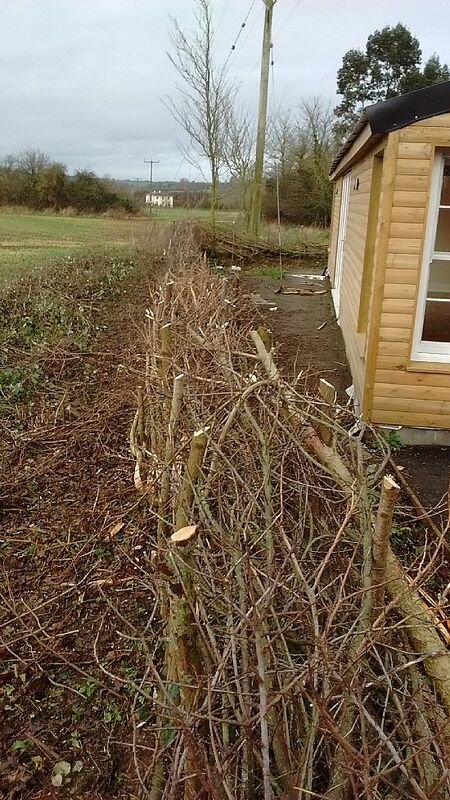 Having competed in Hedge laying compatitions at National level, This will give some indication as to the level of our workmanship. 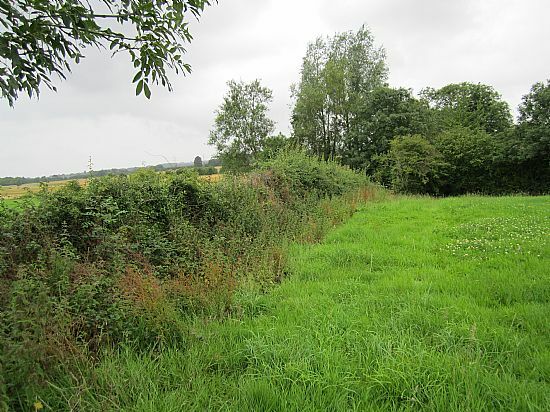 This hedge stood on top of a bank untouched for 50 years. 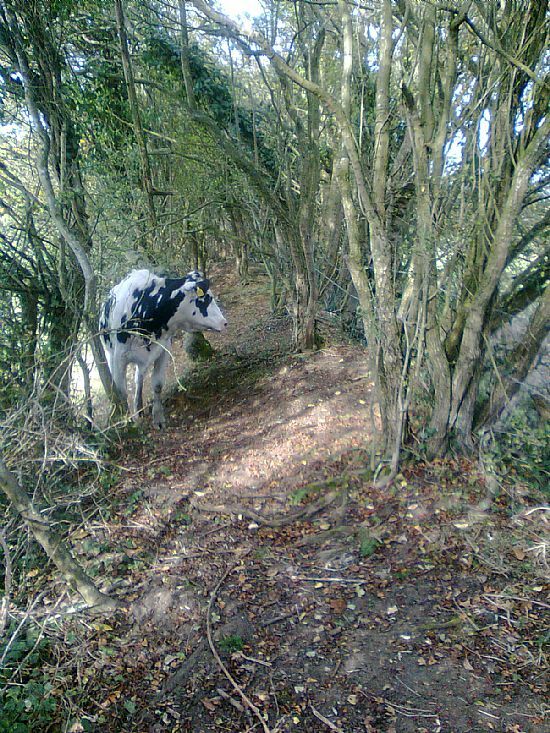 The cattle roamed freely through the middle, restrained by years of barbed wire fixed to trees. A section of hedge layed two years previously. 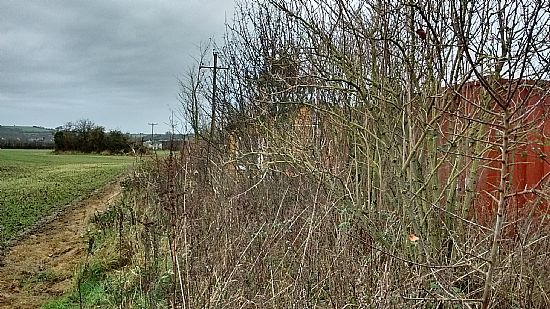 This hedge was in the same neglected condition, but laid well, and planted up with new hedging plants, it has become an outstanding barrier, and habitat for nature. 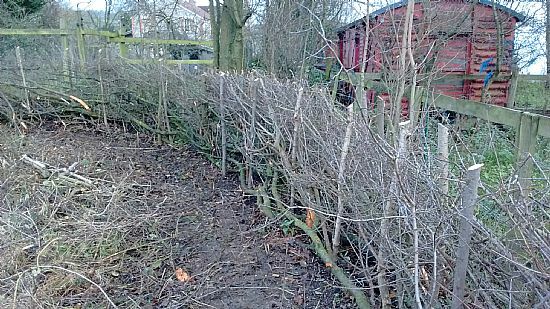 A close up section of hedge when laid well. 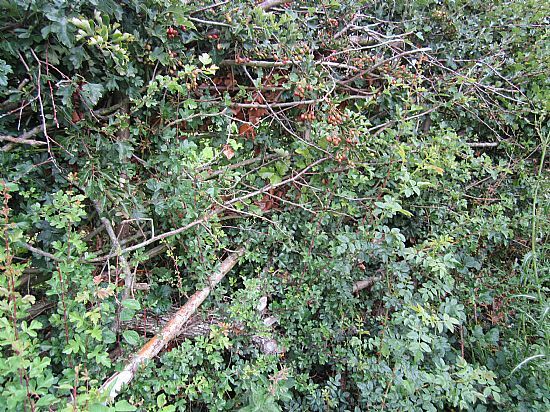 A good selection of thorn mixed with several other variety of hedging plants, makes this a perfect stock proof fence, and a feeding centre for winter foraging animals. 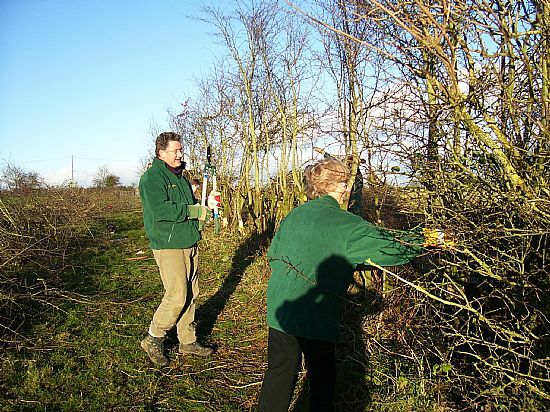 Volunteers clear out a hedge prior to laying. one of the many training events I organised and taught on. 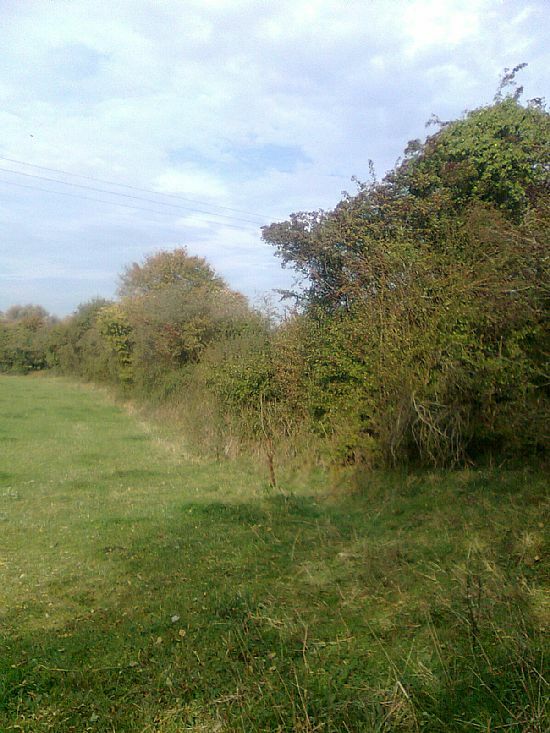 Even though over grown this hedge was slowly dying due to very poor laying some years previous. 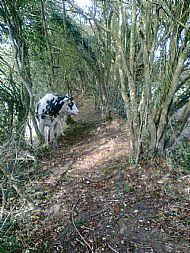 The Hedge had been laid down hill with cut pleachers resting on the ground. The result of this allowed most of the pleachers to die off and was no use at all. 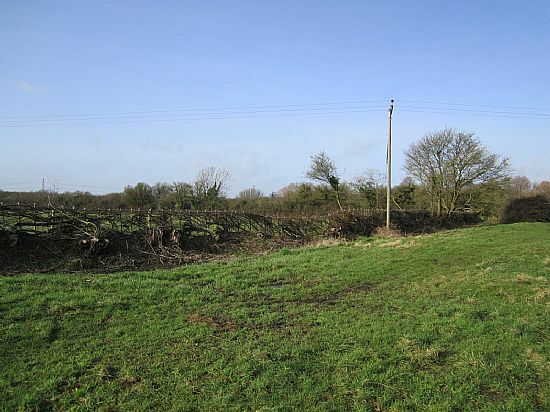 after clearing out the dead wood thec laying began. The original pleachers were raised up as i went, to try to put some life back in.